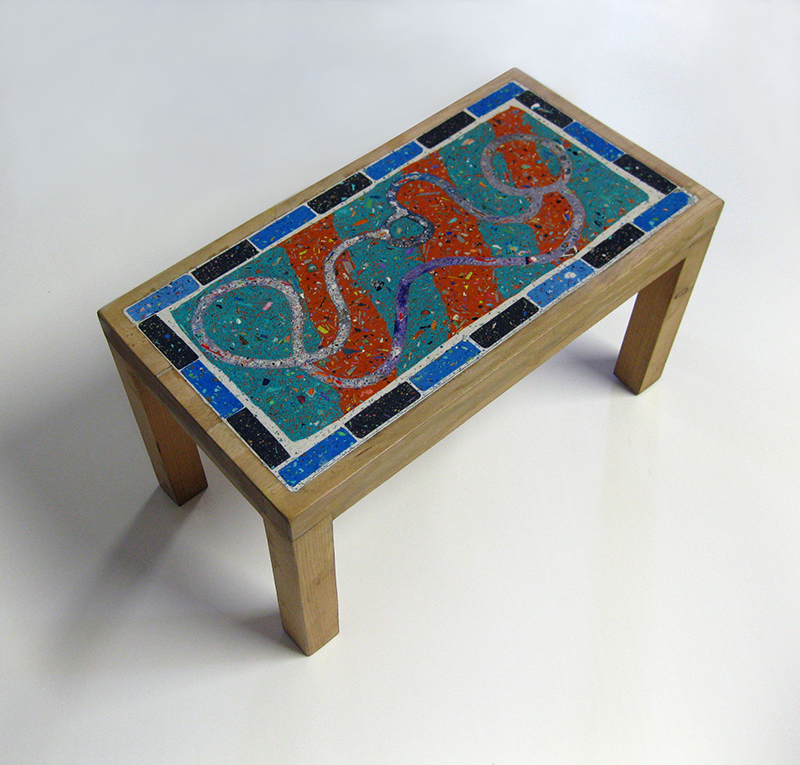 Here is a selection of plaster-top tables. 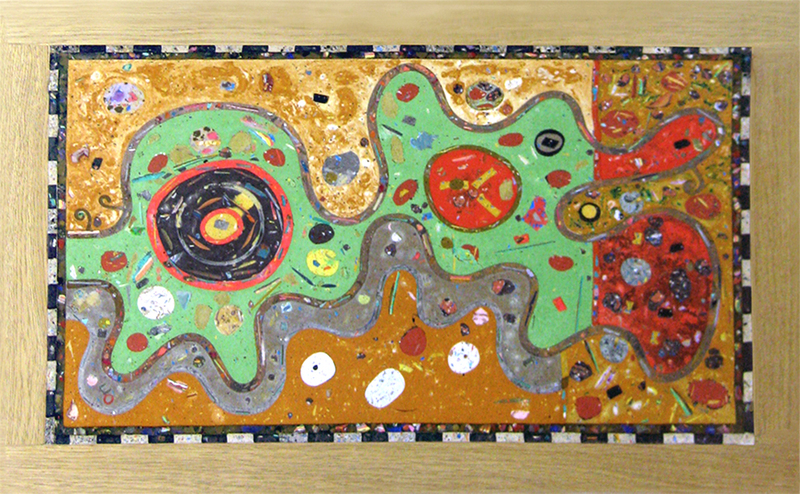 “Martian Pond Life” and “Three Moons” are constructed from solid oak. 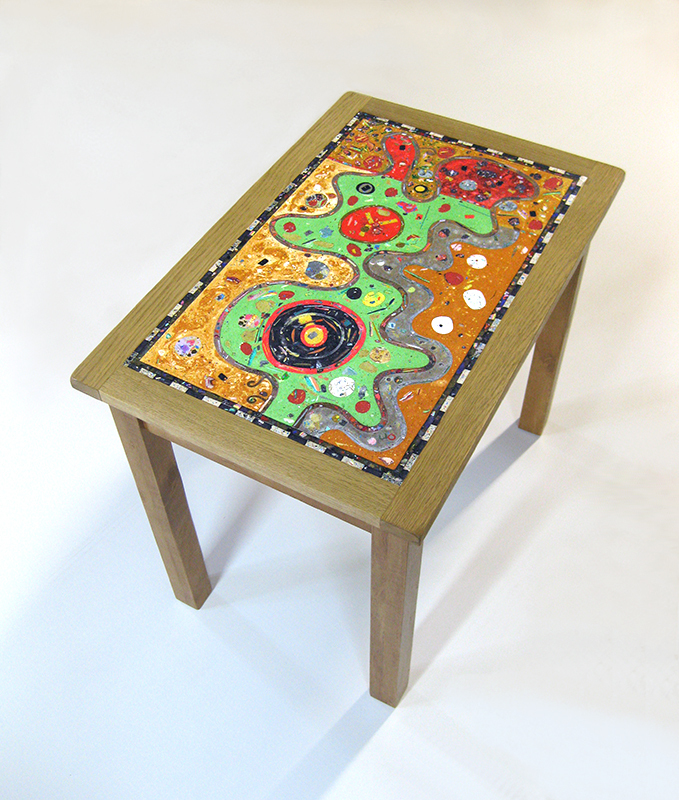 “Lava Scratch” (Glenn’s first table-top venture) is made from softwood. 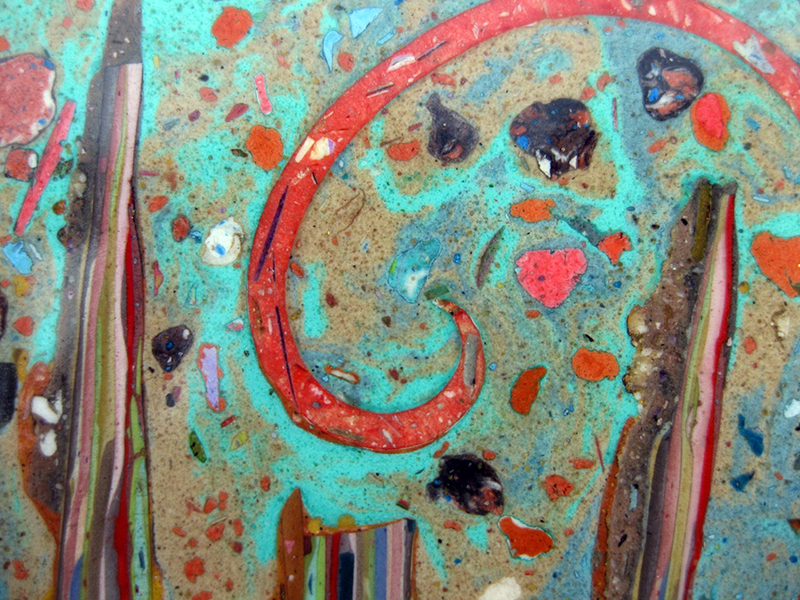 The original artwork is created using pigmented Alpha plaster or, as Glenn likes to call it, liquid-stone. 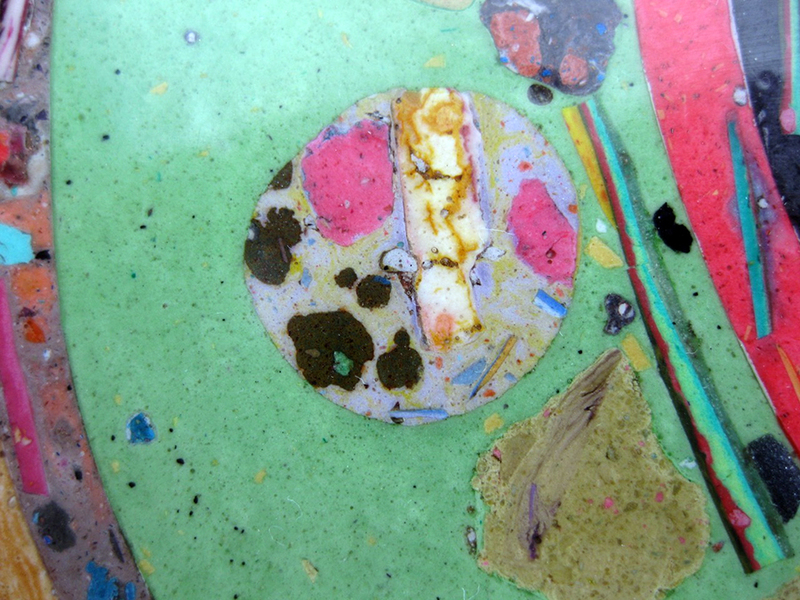 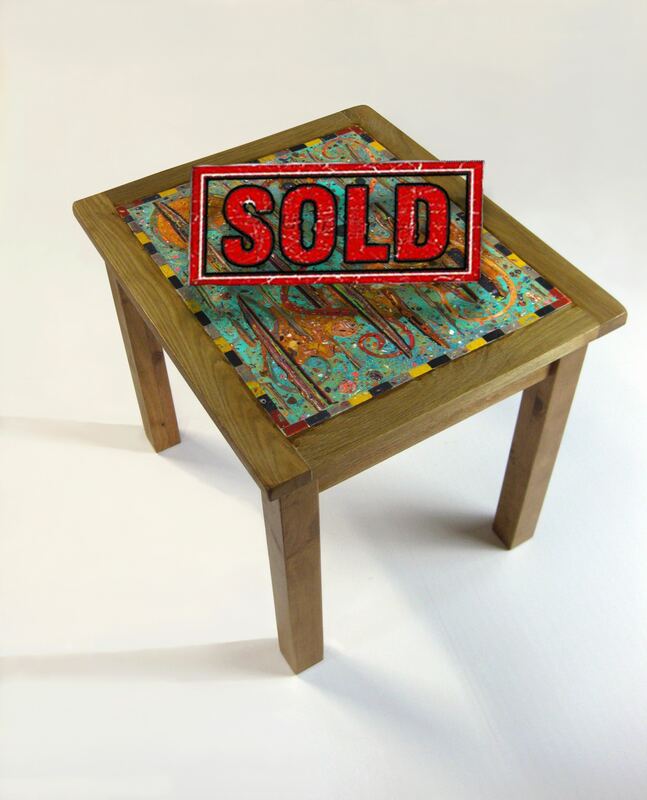 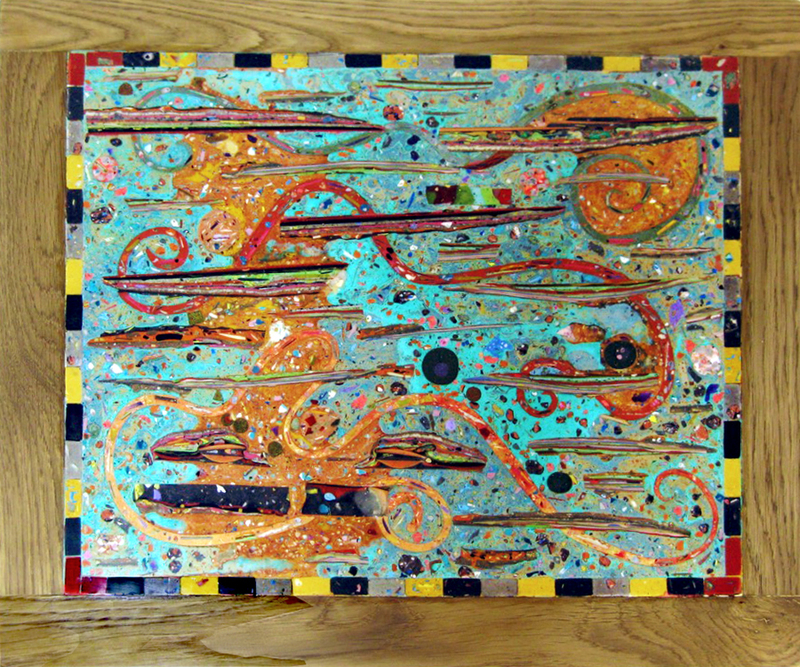 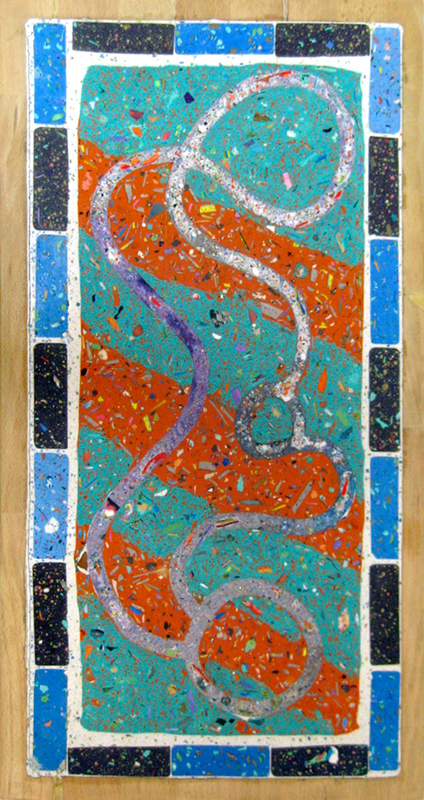 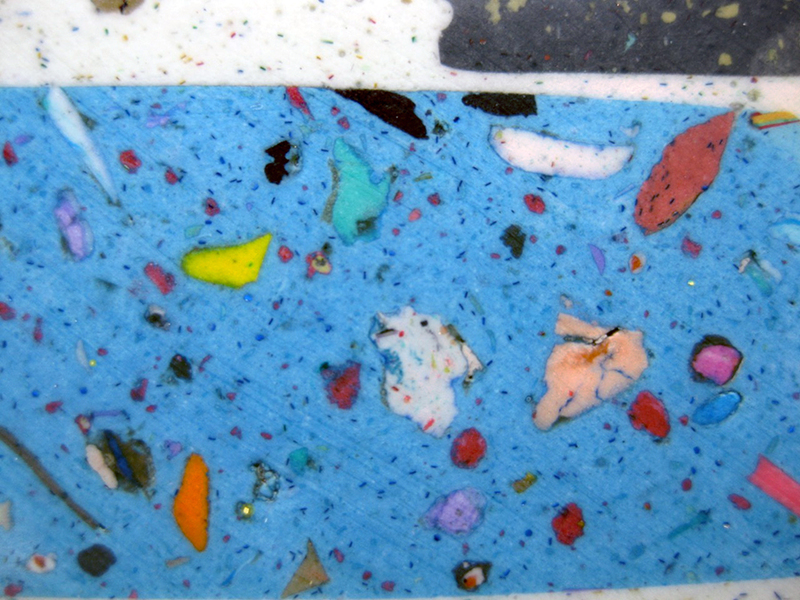 This ‘art’ element of the table is approximately 1cm in depth and is finished with a hard wearing polyester coating. 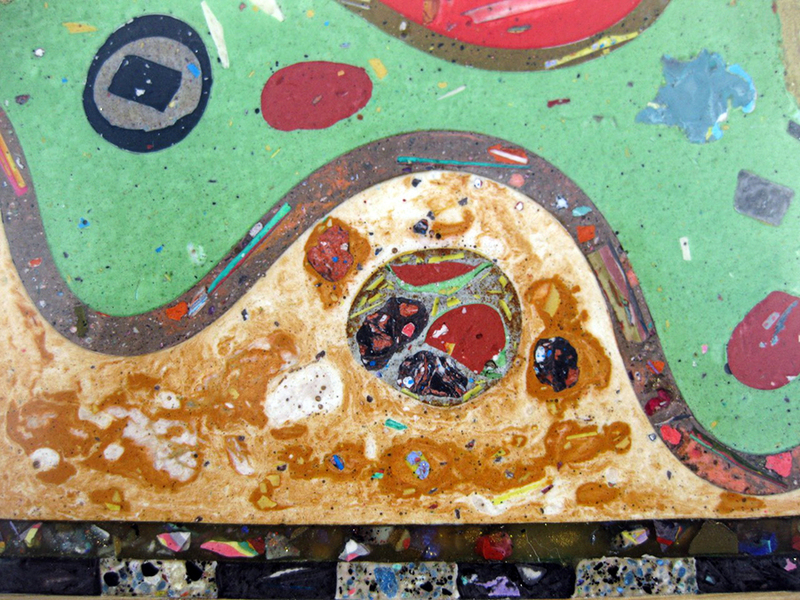 It features sparkles and complex amalgams of coloured particles, strata fragments and luminescent surprises that give the surface an additional interest, depth and playfulness in a totally original use of the medium. 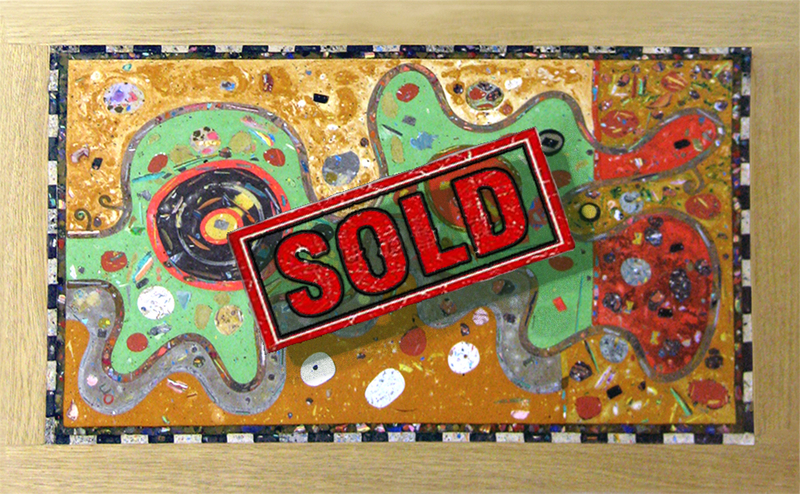 The work is signed and dated by the artist.